We are woofing this Wednesday because of many reasons but the main one is because of Easter and Passover this weekend. Last weekend we had fun as usual BOL and on Sunday Mom took me with her to my favorite restaurant Palmyra which is a Syrian place that makes yummy food especially the chicken. That was my payment for modelling for her with the bunny ears which I did not like on my head, but for Mom I have to do things sometimes whether I like it or not. We also met with my favorite Aunt Barbara, so it was double fun and of course Mom gave me some of her chicken and I put my head on Aunt Barbara’s lap so it was really a fun afternoon. We came home and I just went to bed to sleep while Mom did housework. Now as we all know holidays are upon us, Easter for the Christians and Passover for the Jews. It is a special time when families get together and eat themselves sick, that is what Mom told me. She only gives me a little to taste but it is the best as that means I get yummy food and not my food, BOL. So today as we are talking about the Middle East as both Holidays originate there, we are also going to talk about a wonderful woman who is battling and doing her utmost to save all the stray dogs in Bethlehem. She rescues the strays and then they go to a rescue organization in Israel which helps to find the stray dogs homes. You can read about her in the link below. The reason we talking about her and the wonderful work she does, is at the moment and it being holidays where our food is plentiful, she is struggling to feed all the stray dogs and reaching out to everyone for help. 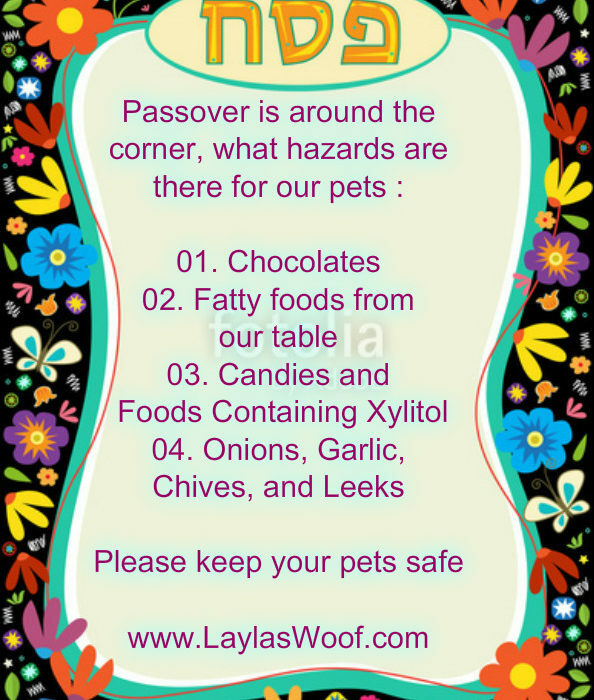 So I, Layla as a rescue, thought if we each helped with like 5 dollars, it would all add up, and the dogs would have food to eat, that is what we call a Mitzvah which means a good deed done from religious duty. So who is going to step in and help. I am attaching all the links here, from the Facebook pages, paypal links and go fund me links and we hope everyone will help and share the story. I heard about her plight through a friend of mine who volunteers in the shelter that is working with her and reached out to me to share the story. 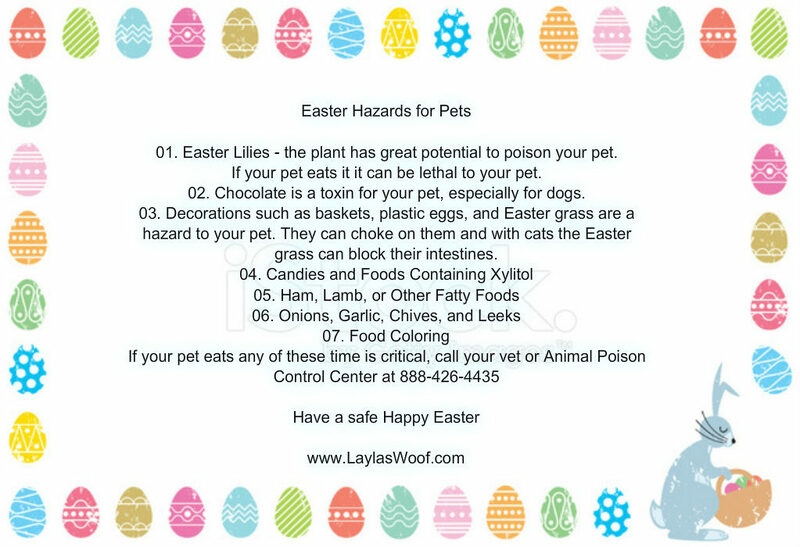 Now that we have shared with the plea, everyone please have a wonderful Easter or Passover, and make sure your pets are all safe from the hazards of these holidays. Friday has arrived and that means the fun time and adventures start as there is no rain this weekend, phew. 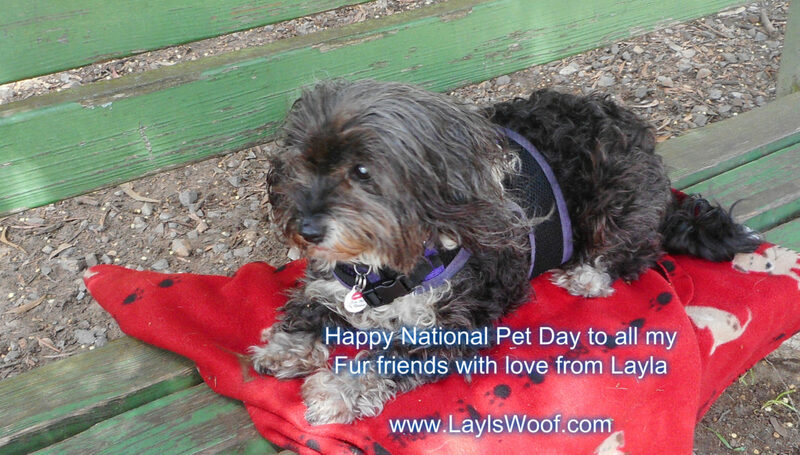 Thursday, April 11th is National Pet Day which is a very important day. It was started by Colleen Paige to celebrate the joy and love that pets bring into our lives and most important highlight the awareness of the many different animals sitting in shelters all over the world waiting to find forever homes. This is the reason I will only rescue and not pay a breeder as there are so many in cages begging to go home people should rescue. There are also pure breeds in shelters and rescues for those that want one, opening your door to a rescue of any kind of animal is saving a life, actually not one but two, yours and the rescue. No animal should have to suffer, especially at the hand of humans and that is why Adopt don’t Shop is so important. Layla is a rescue and like many I am sure when we read the list above we say well we do some of those every day so why not instead do the others also. I for example try to give back wherever possible, helping rescues is on the top of my list and love sharing with them. 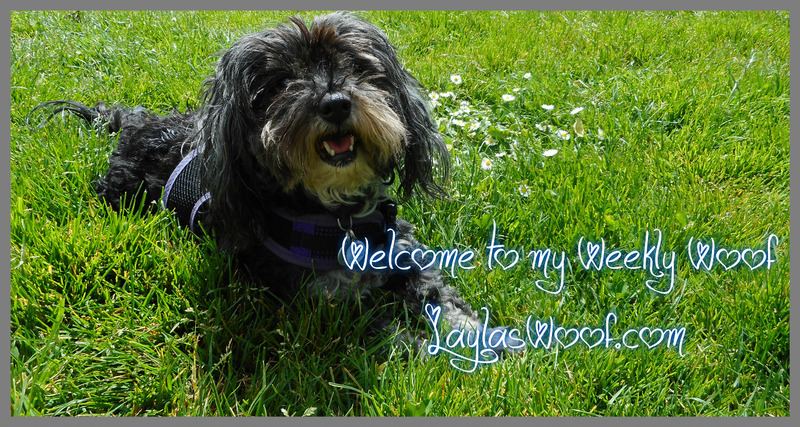 One of the most important things in my life as a Mom to a rescue is to make sure that on weekends I do very little work and spend quality time with Layla giving her extra special love and attention as she is so patient during the week when I am at work. Last weekend I decided as the weather was so good to take advantage of it and on Sunday we did two dog parks. One in the morning which I call my little paradise as it is a tiny park not far from me, really quiet but has lots of smells, so what can be better than walking there with a cup of coffee, a happy trotting little dog, bag of treats of course, finding a bench and just chilling. Best way to start the day. At lunchtime we went with a friend to the Chihuahua Meet Up, Layla always is the honorary Chi LOL. I love where they hold it, Stern Grove is amazing and at the end of the park is a fantastic lake, so it is soothing, relaxing and just great being out in nature. Layla loves the smells, wandering around and of course getting some treats, but for me it is quality time, no electronics, just the two of us. So now that summer is arriving, I am researching new places of adventure for the two of us on weekends, plus of course all the dog events that will be happening in the city, so that our weekends will be filled with fun. 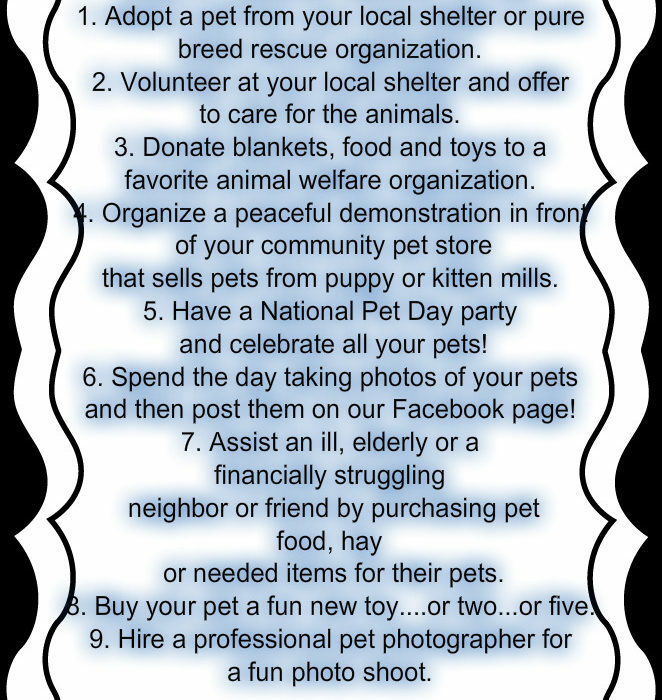 Did you do something special for your pet on National Pet Day ?